The Supreme Court bench of Justices A. K. Sikri and Ashok Bhushan on Friday requested the assistance of the Attorney General in respect of the writ petition filed by Former Union Law Minister and Senior Counsel Shanti Bhushan seeking clarification of administrative authority of the Chief Justice of India as the ‘master of the roster’. “You are praying that any reference to the ‘Chief Justice of India’ must be deemed to mean a collegium of 5 senior judges of the apex court (in respect of the exercise of administrative powers by the Chief Justice)?”, inquired Justice Sikri. “Yes, the Supreme Court Rules framed under Article 145 as well as the Protocol of this court are being violated so far as the assignment of cases is concerned...it is the constitutional principle that nobody, regardless of rank or status, is above the law...”, responded Senior Counsel Dushyant Dave, citing “malice of law”. “Malice of law cannot be advanced as a ground for seeking the relief that any reference to ‘CJI’ should be understood to mean the collegium”, remarked Justice Bhushan. “It is a point of law...the ‘CJI’ is implied as including the senior most judges of the Supreme Court in matters of transfers and appointments...”, asserted Mr. Dave, relying on Article 124. “There are hundreds of cases filed before the Supreme Court on a daily basis...it is not feasible to have the collegium sit twice or thrice a week to oversee the assignment of these matters...”, noted Justice Sikri. “Which matter can be deemed as being ‘sensitive’ is a subjective notion”, remarked Justice Bhushan. “Then why are certain matters listed before specific benches...we have mentioned 14 such instances in the petition in regard to which the Registry has some serious questions to answer...”, responded Mr. Dave. “If there was any such intention, then the matter would not have been listed before Justice Gogoi in the first place...”, observed Justice Sikri. “The matter had been so marked by Court no. 2 (presided over by Justice Chelameswar)...it is the rule that when the CJI is sitting in a constitution bench, matters shall be mentioned before the second senior most judge...”, responded Mr. Dave. In this regard, he also cited the instance of the petitions by the CJAR and Advocate Kamini Jaiswal in the Prasad Educational Trust matter. “There is no dispute that the CJI is the master of the roster...how this power may be exercised is the issue...but prima facie, the ‘CJI’ cannot be deemed to mean the collegium...”, remarked Justice Sikri. “The Chief Justice’s power as the master of the roster is subject to the caveat that this power is exercised fairly...”, replied Mr. Dave, mentioning the 1981 S. P. Gupta judgement (First Judges Case). Mr. Dave, on Friday, also mentioned the instance wherein a former CJI, having held office for only two weeks, had listed business matters before himself, the orders wherein were reviewed subsequent to his retirement. “Your solution to the problem of the exercise of power is not feasible...what is needed is a self-governing mechanism...”, noted Justice Sikri. 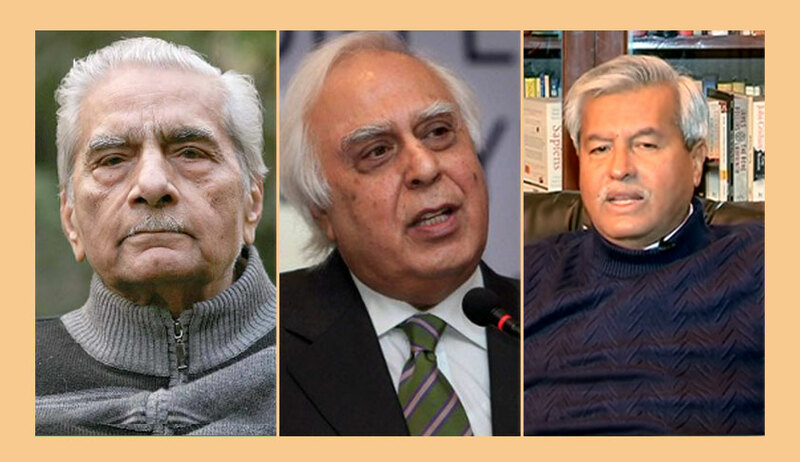 “We have been in this court for 40-50 years...we are not against any specific individual...but were are troubled...”, advanced Mr. Sibal. “When Dr. B. R. Ambedkar was asked which Article of the Constitution he would regard as its heart and soul, he had put his finger on Article 32...this court is the bedrock of constitutional values...it is Your Lordships bounden duty under Article 32 that justice is seen to be done”, added Mr. Dave. “I have always said that a bigger role of a judge than administration of justice is to uphold the constitution”, agreed Justice Sikri. When Justice Sikri remarked that there are several Supreme Court judgments that the CJI shall be the master of the roster, Mr. Dave responded, “and I shall prove that they are in our favour”. Mr. Dave claimed that that position of the apex court ‘as an independent safeguard for the preservation of personal liberty’ has been compromised. He sought to refer to the concerns voiced by the four senior most judges of the Supreme Court at the January 12 press conference to vehemently urge the court to take judicial notice, however, the bench refused to be addressed thereon, scheduling the matter for further hearing on April 27.